Lou Williams may arguably be one of the most underrated players in the 2014-15 NBA league. Last night Lou lead the Raptors through a tough win against big man John Wall and the Washington Wizards. 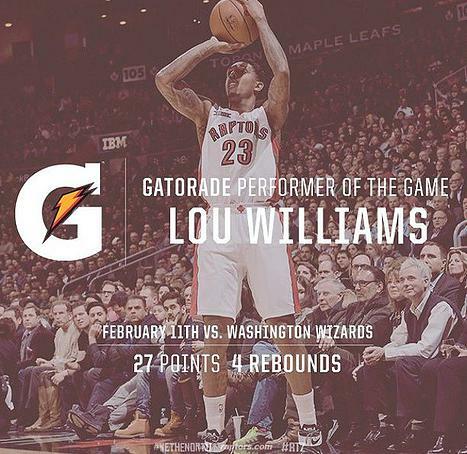 Lou was titled Gatorade Performer of the Game, scoring 27 points, 4 rebounds and 2 steals. Lou also set a record this game, averaging more 20+ point games off the bench than Leandro Barbosa. Lou Williams is definitely a great candidate for this years “6th Man of the year” award. Way to go Lou!